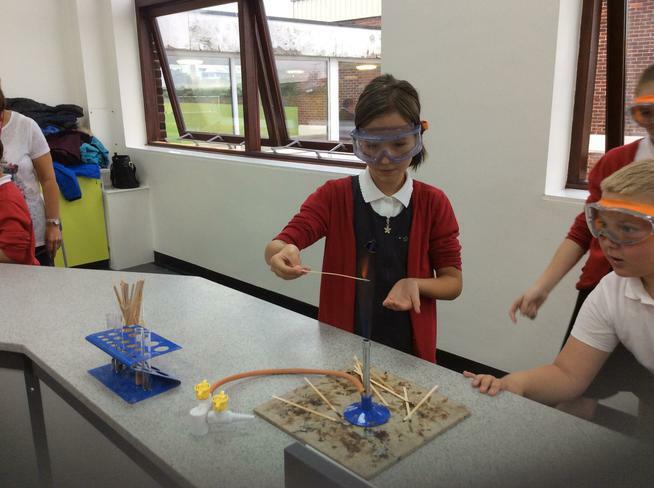 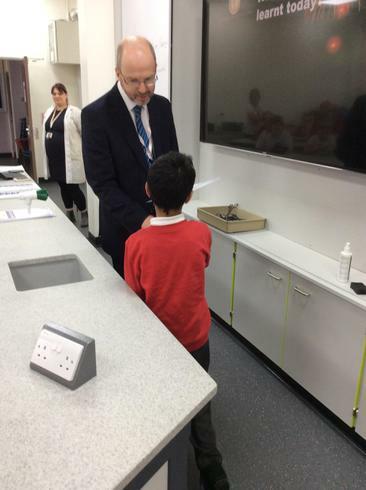 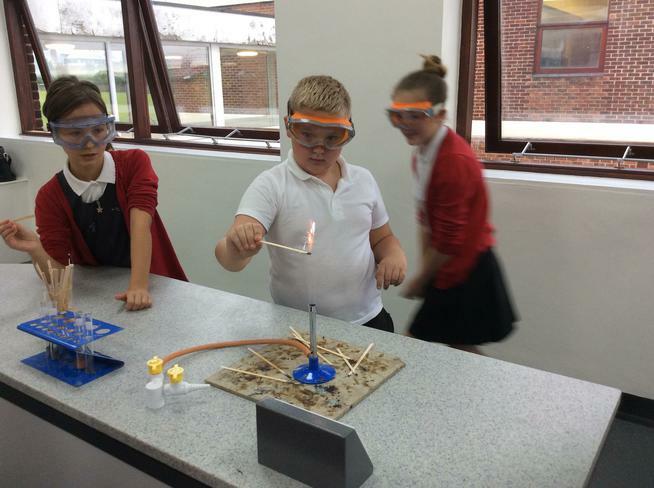 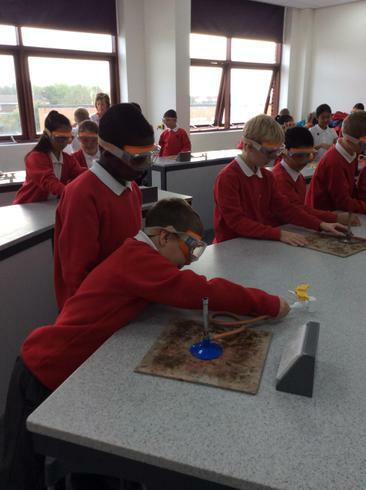 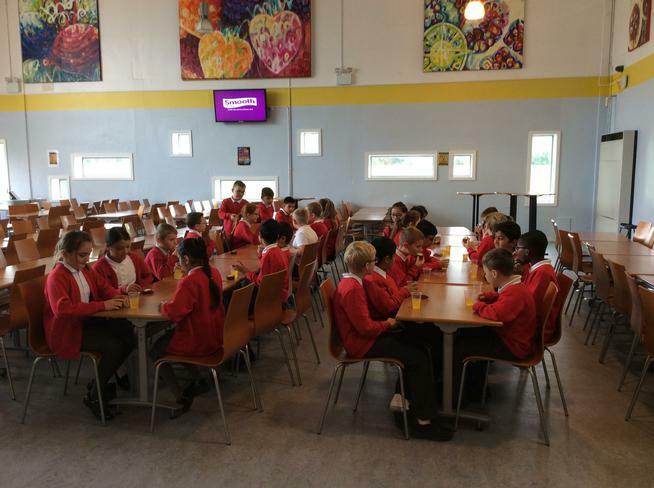 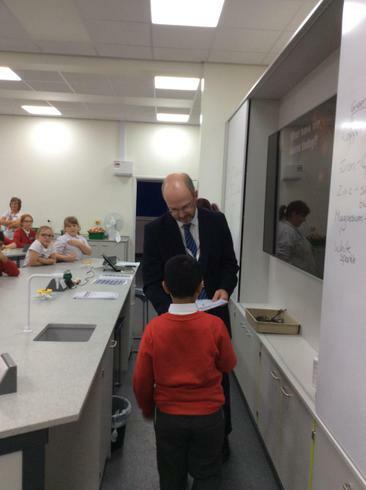 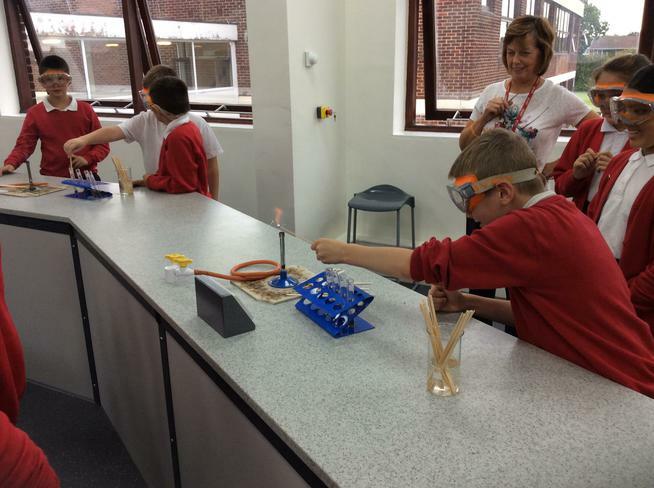 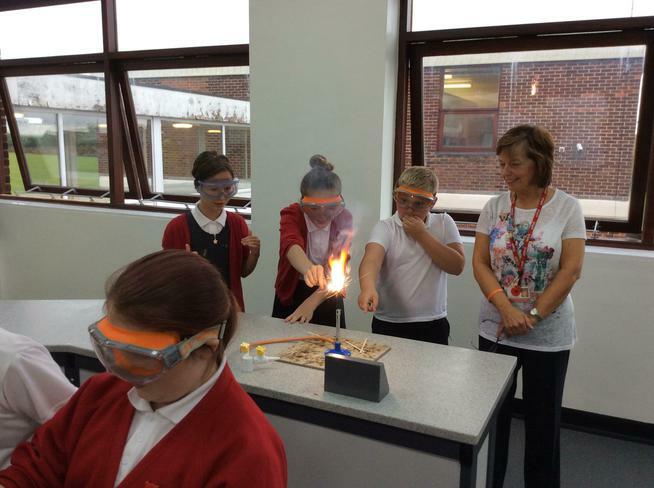 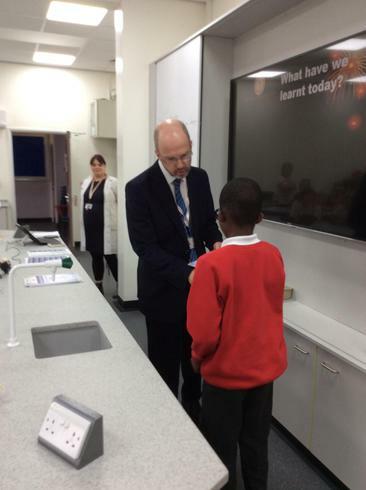 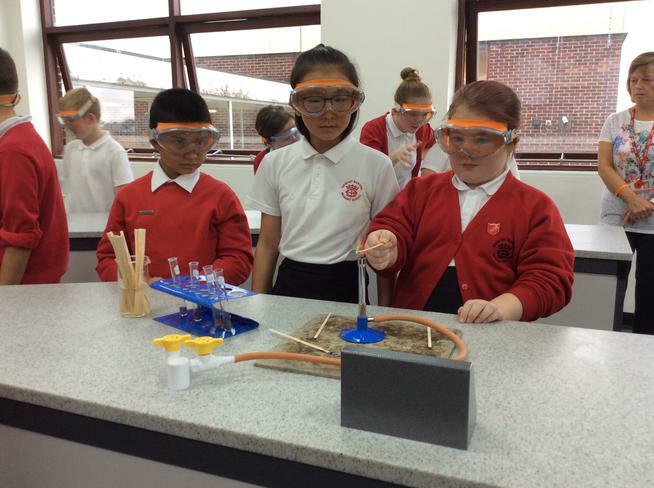 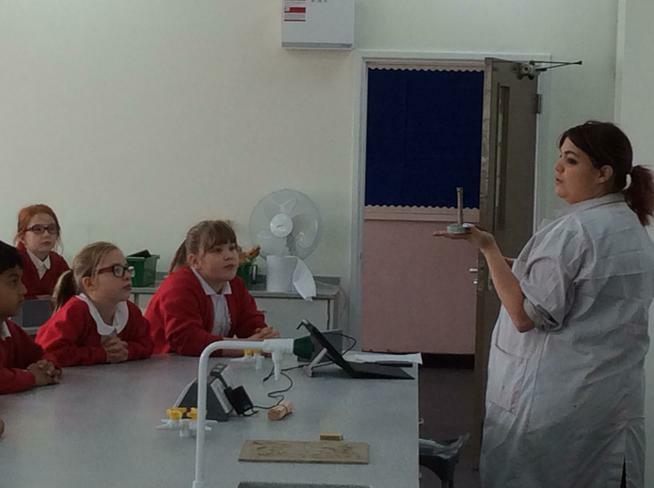 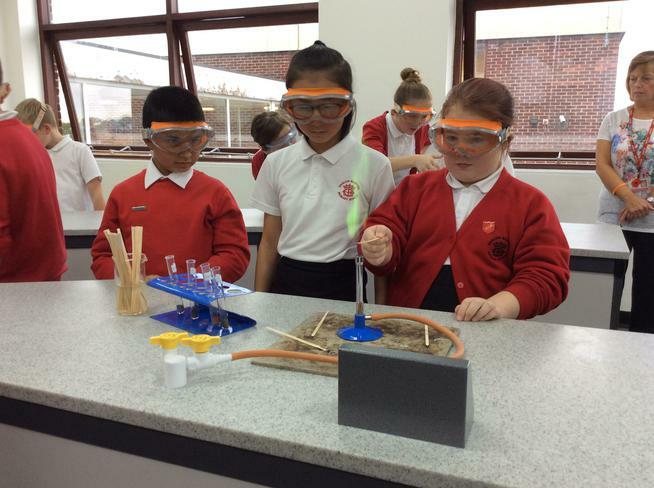 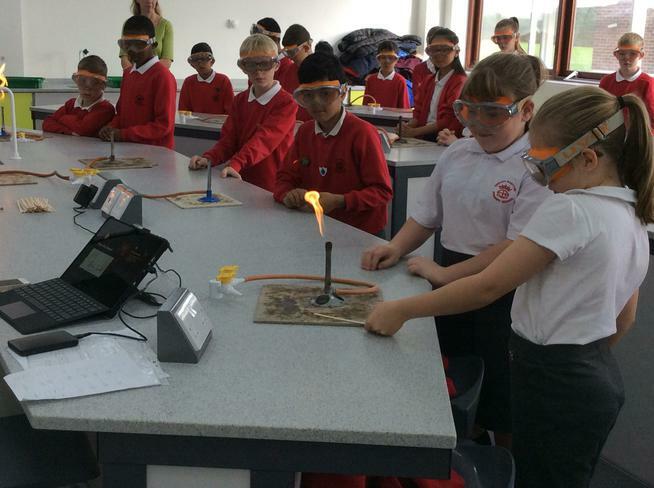 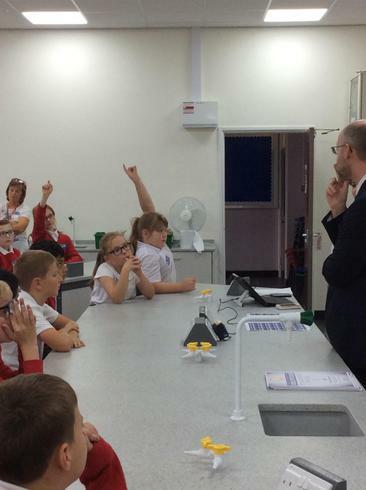 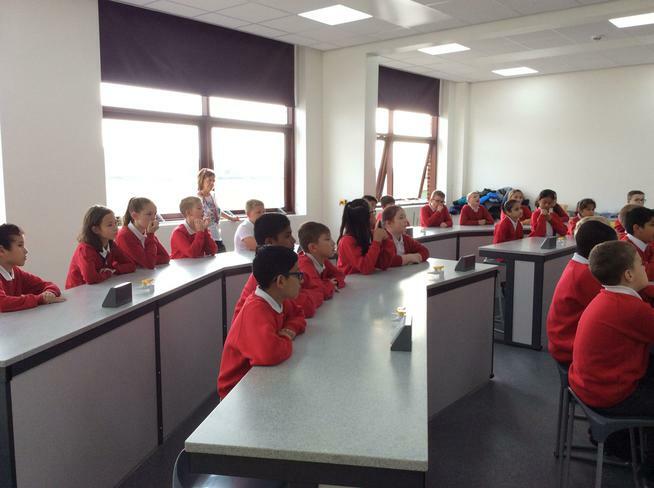 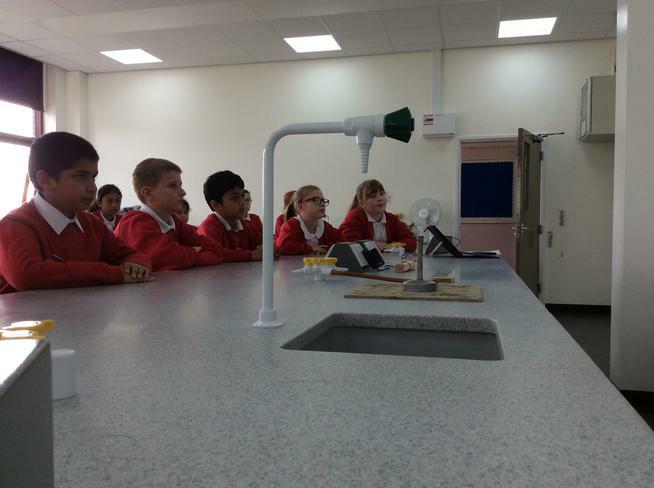 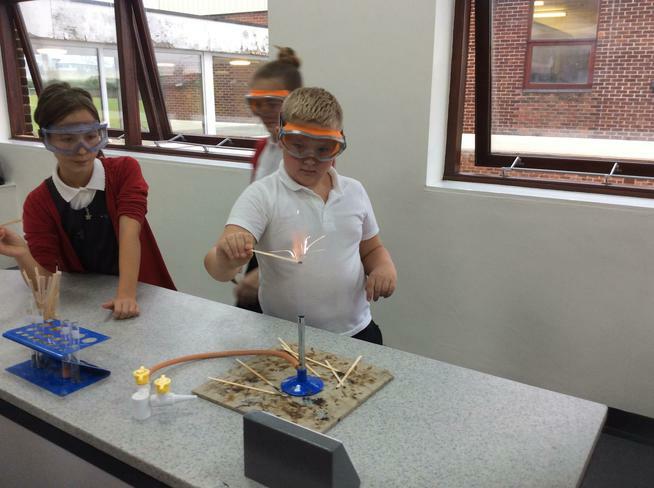 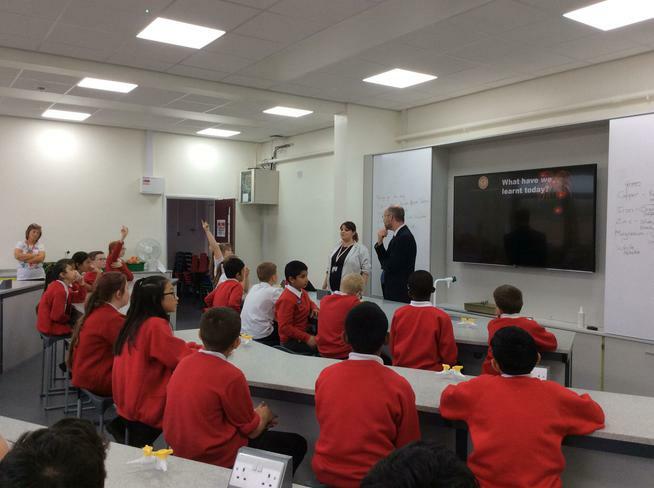 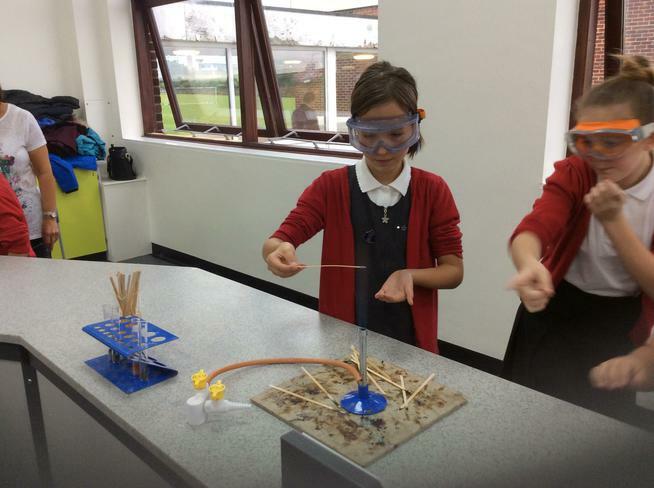 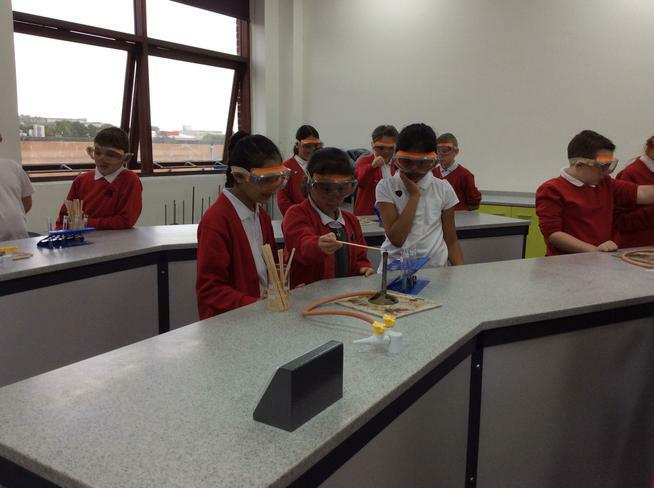 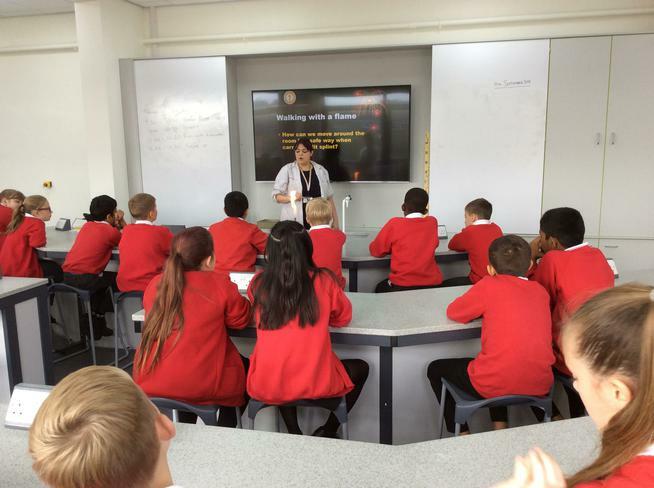 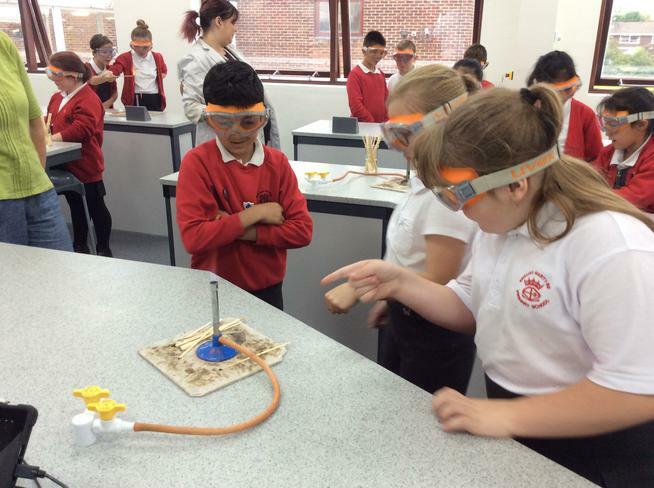 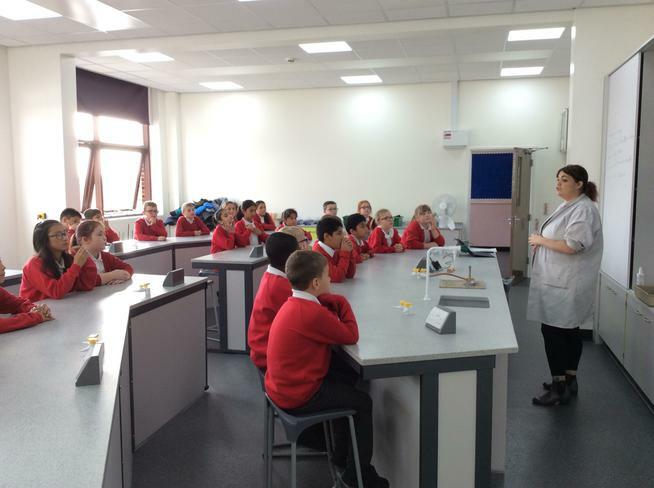 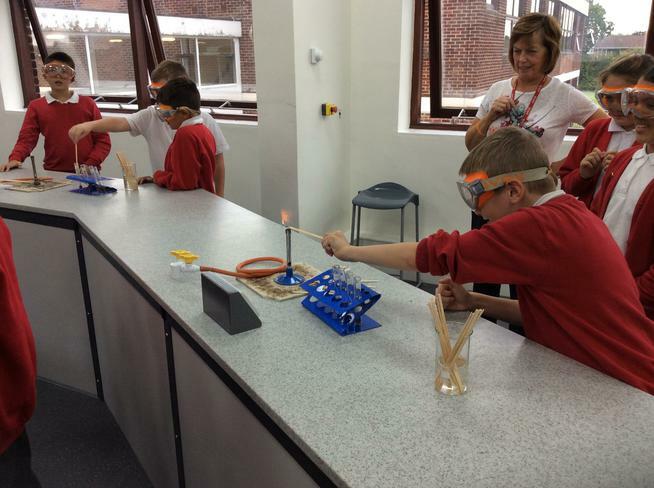 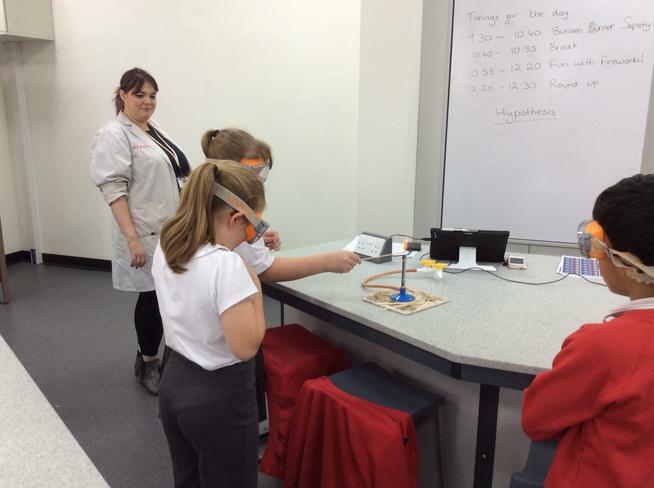 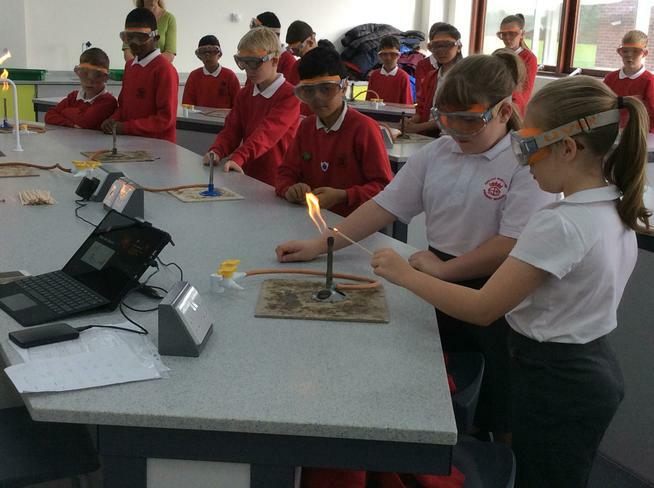 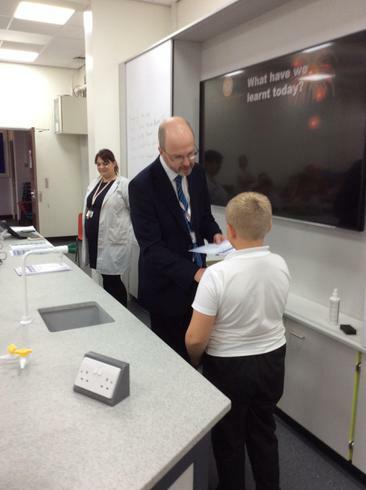 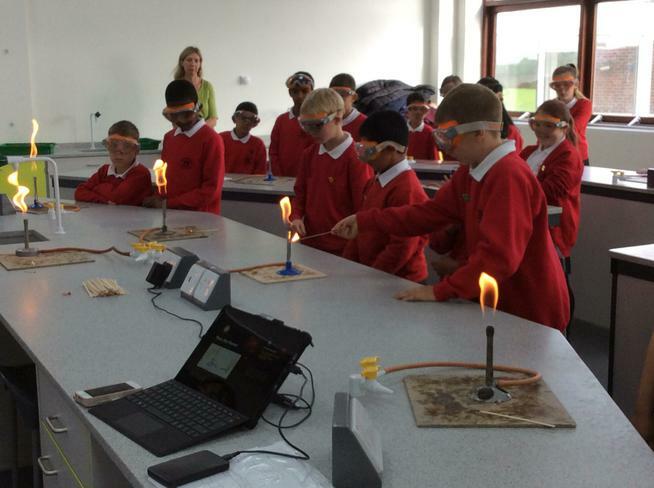 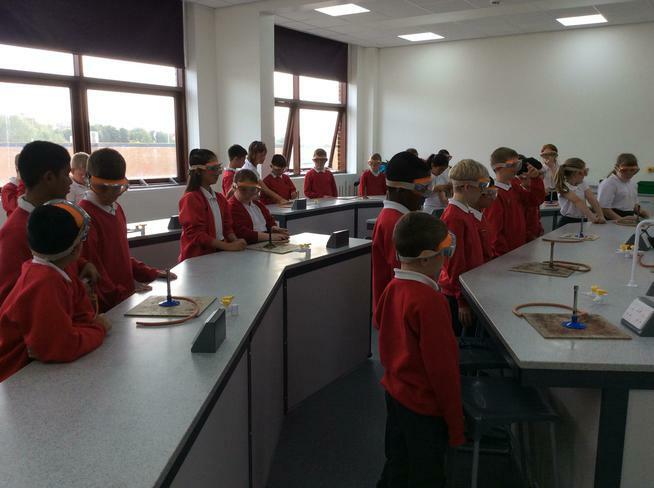 Year 6 were lucky enough to be invited to Corpus Christi to test out their new Science labs. 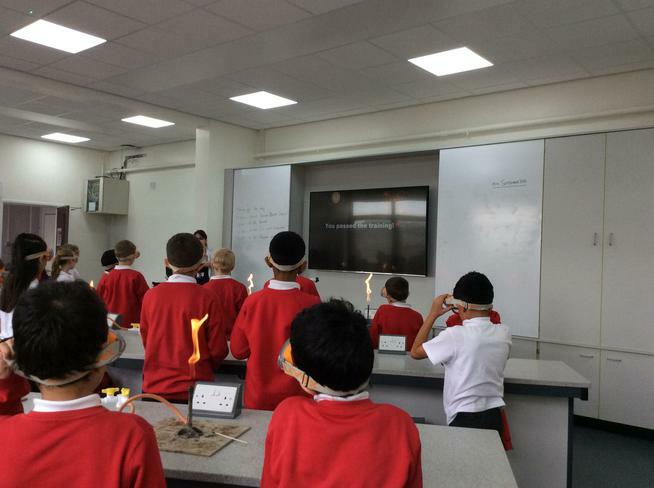 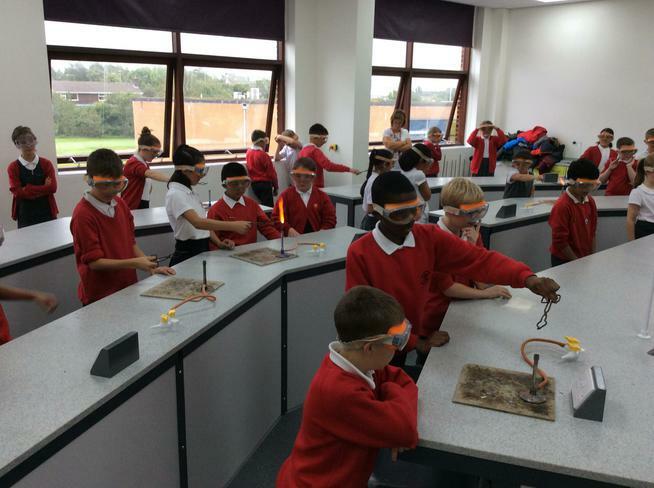 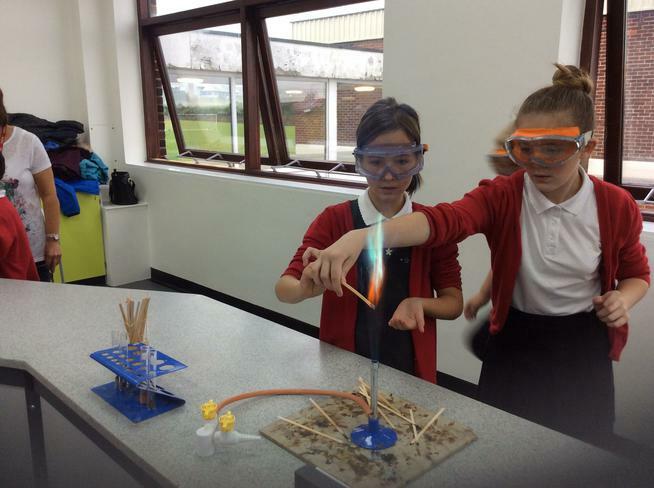 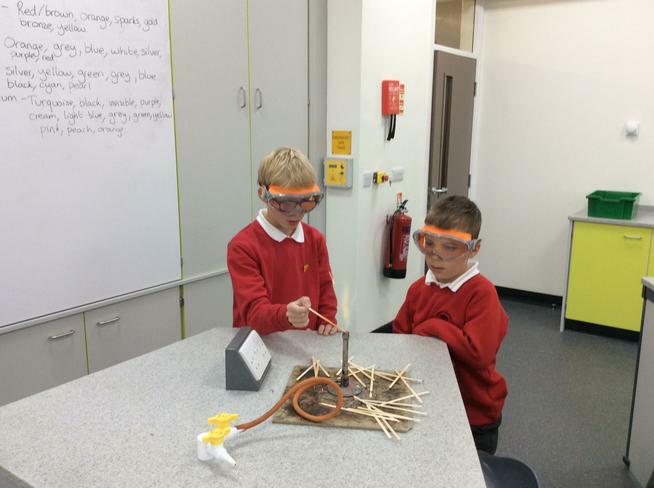 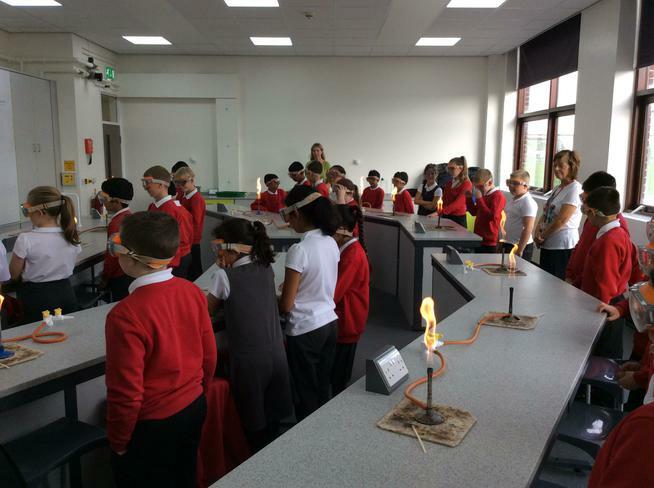 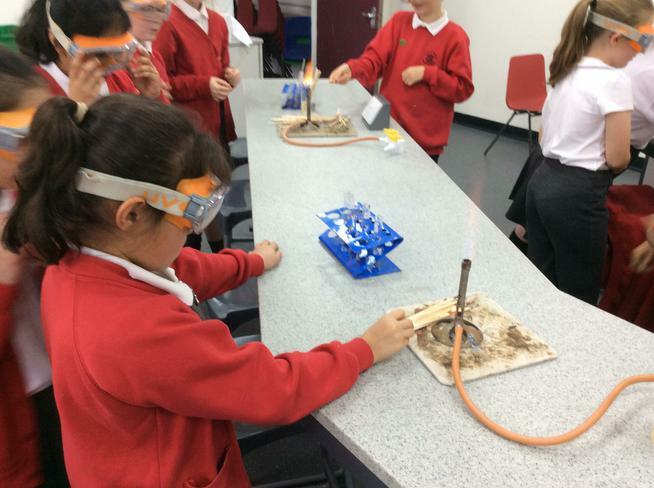 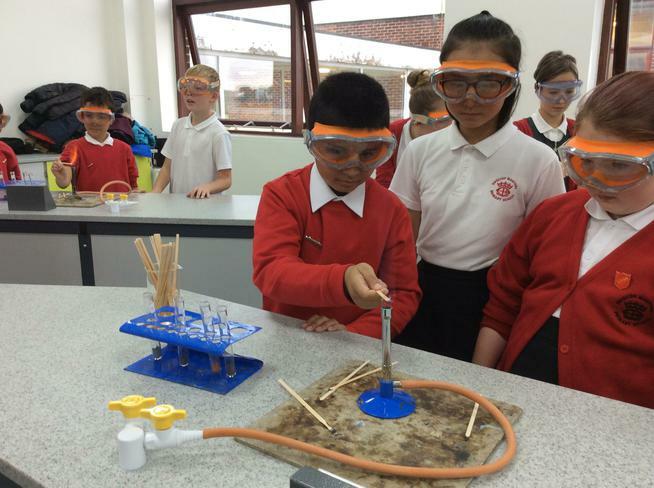 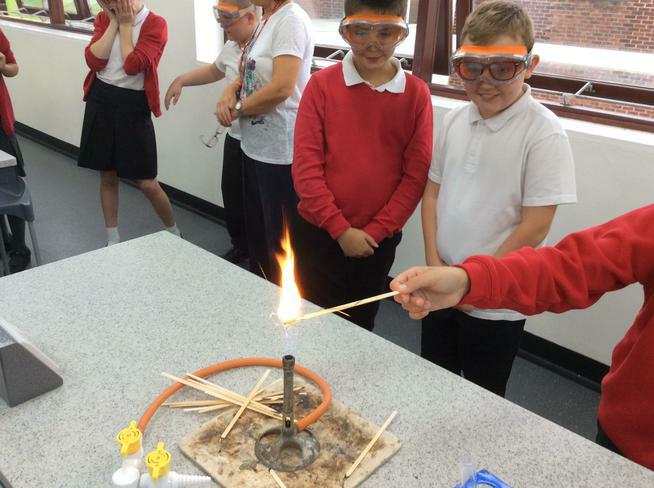 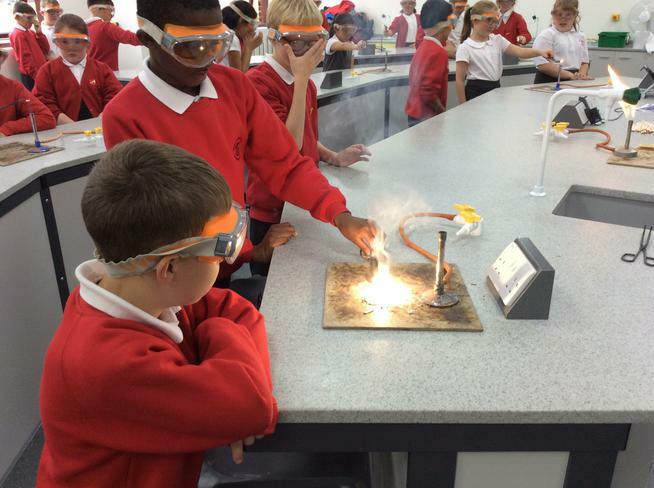 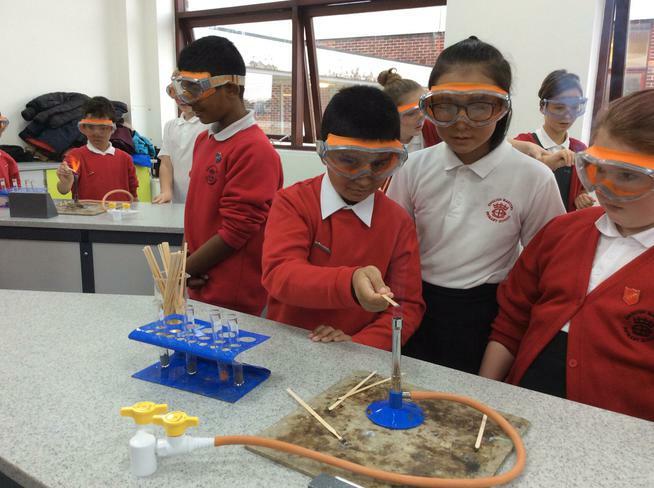 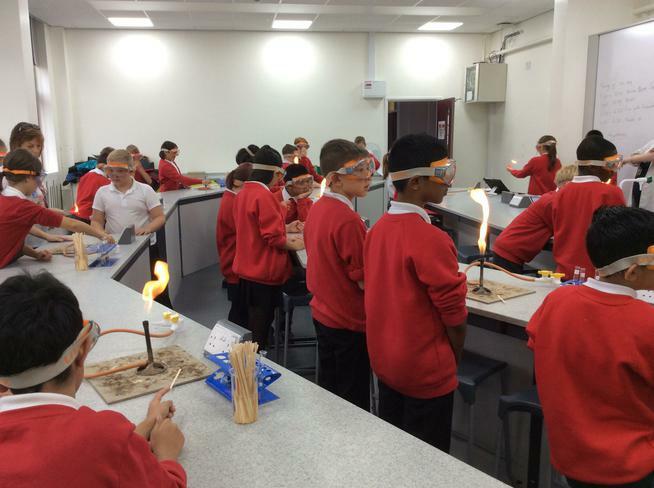 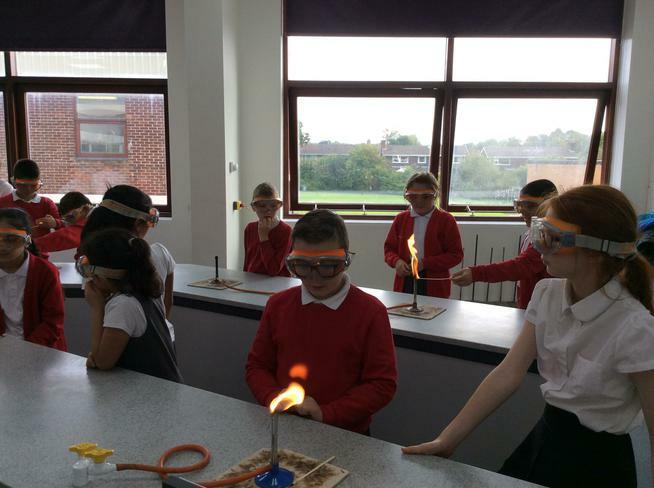 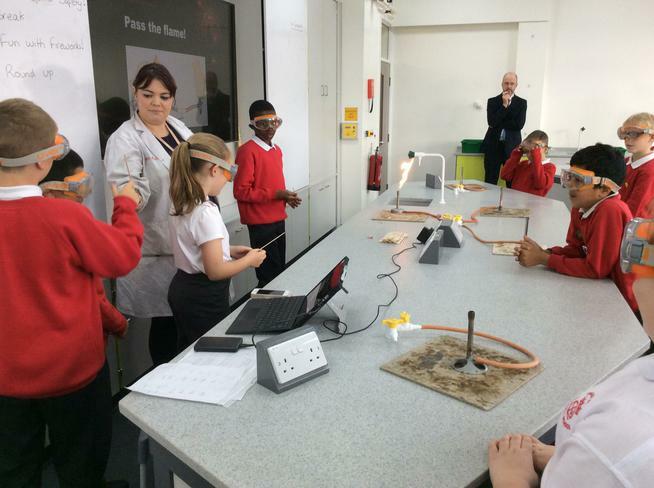 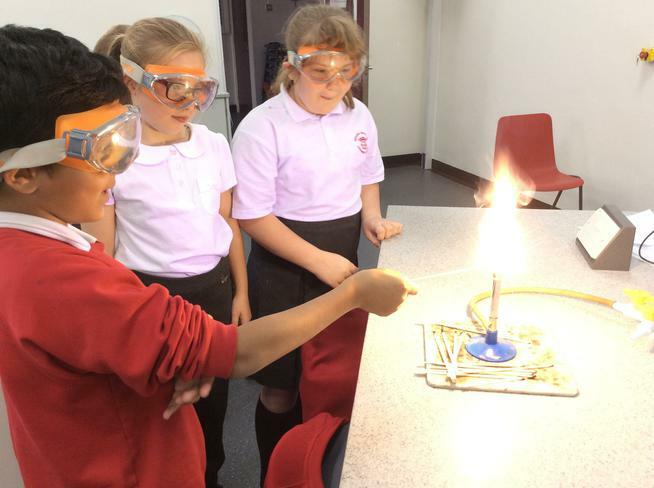 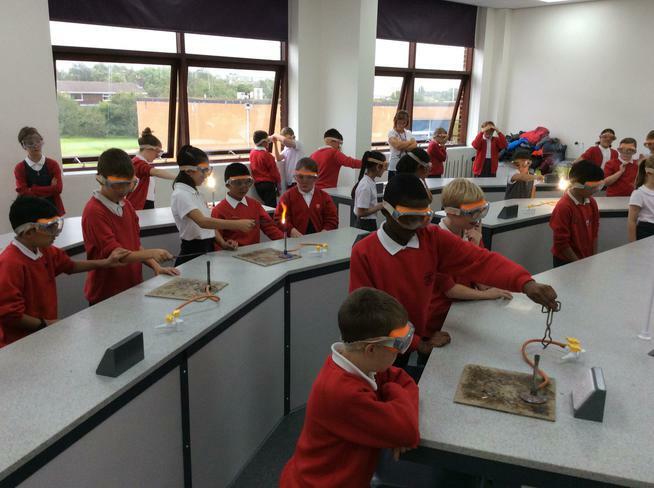 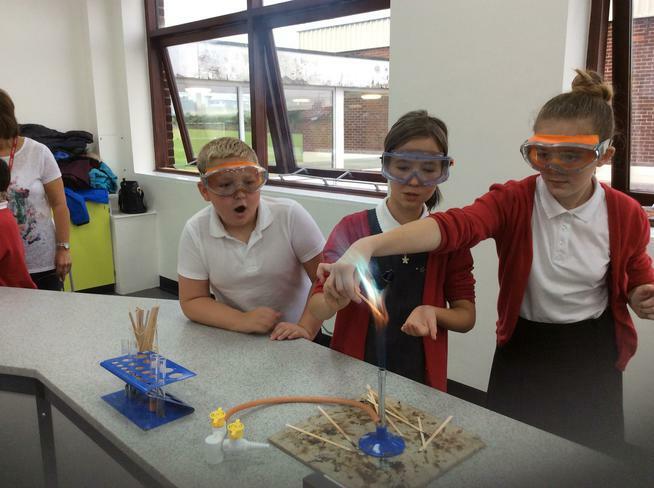 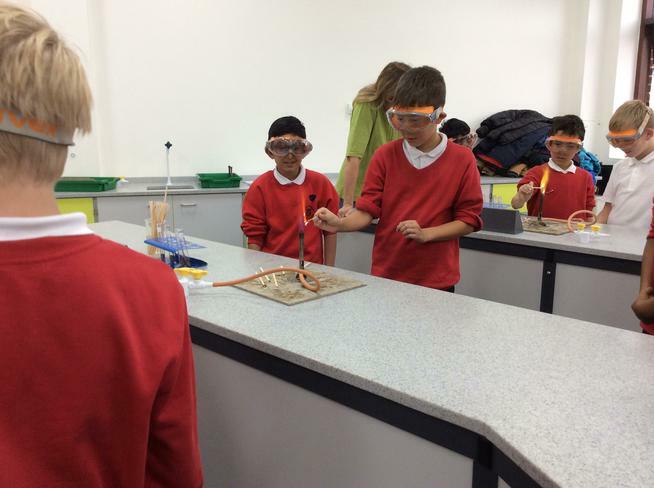 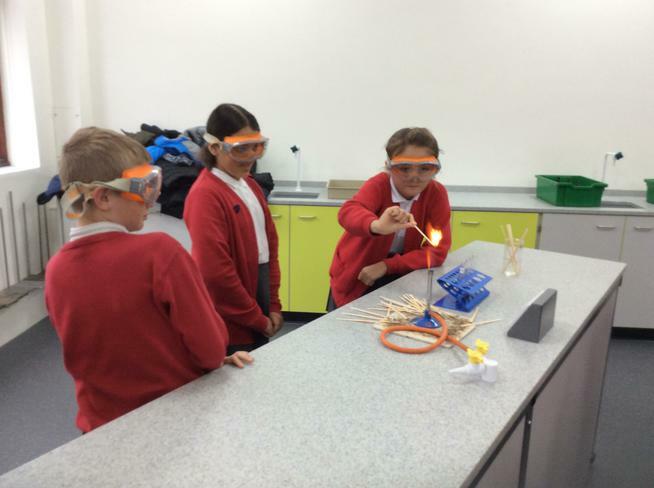 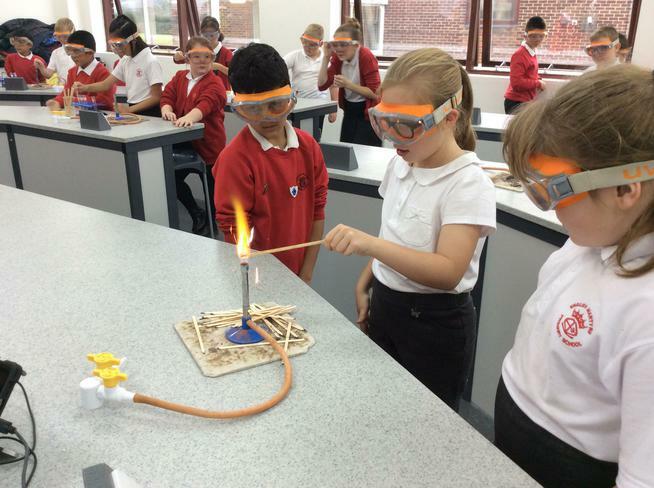 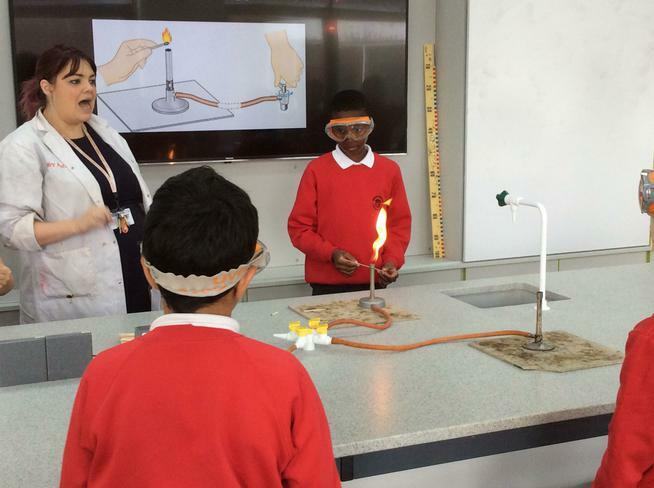 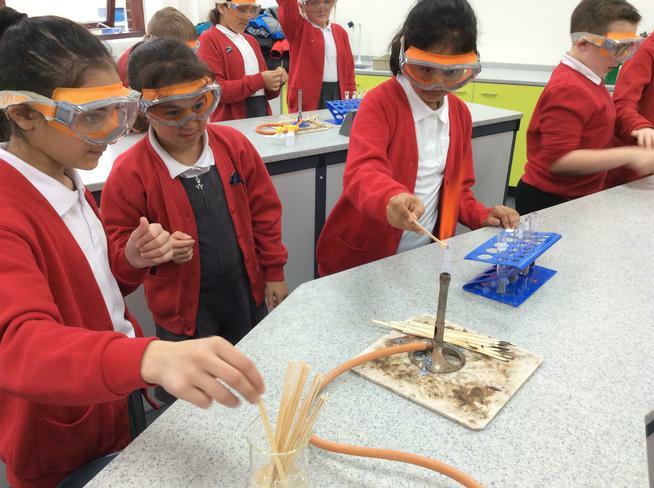 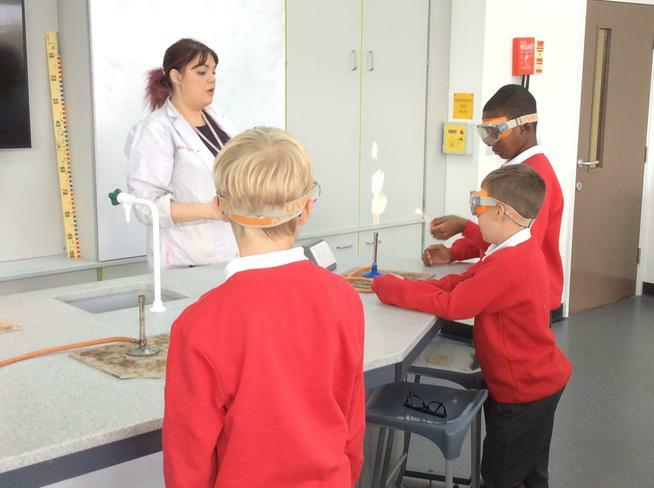 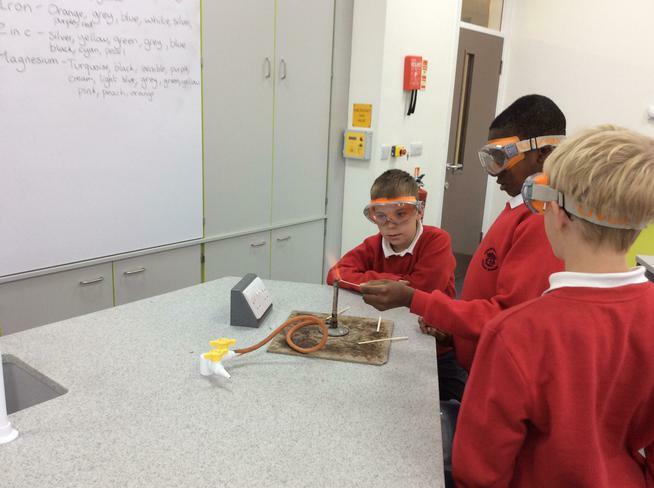 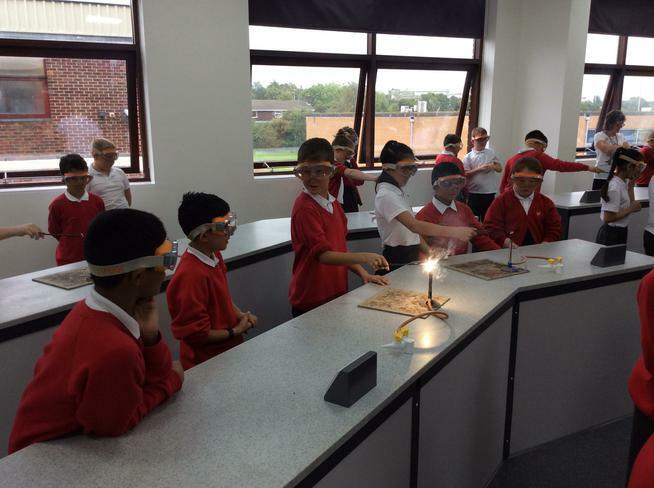 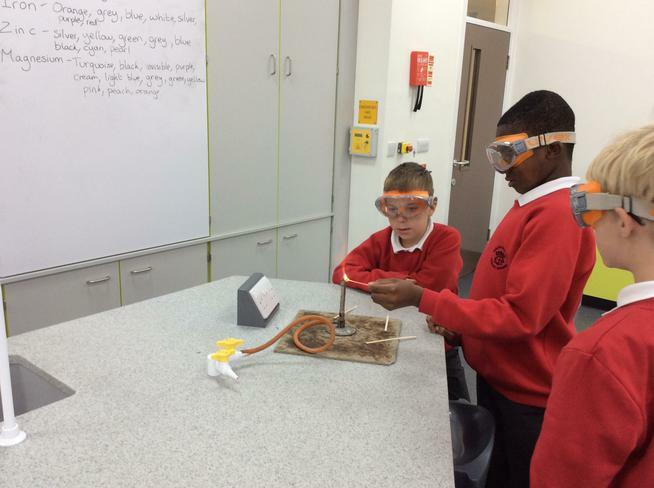 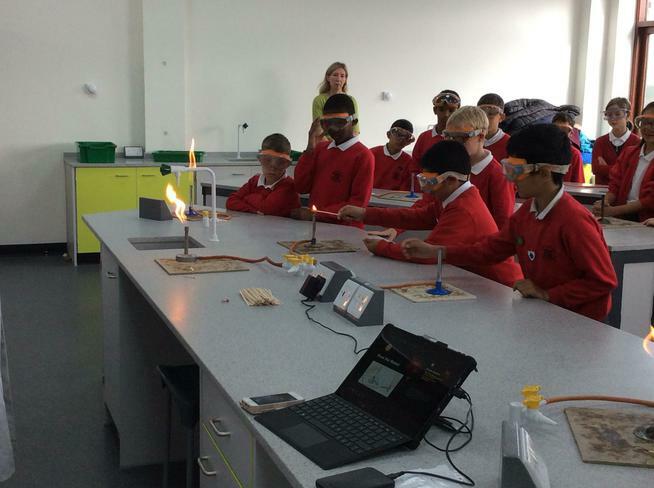 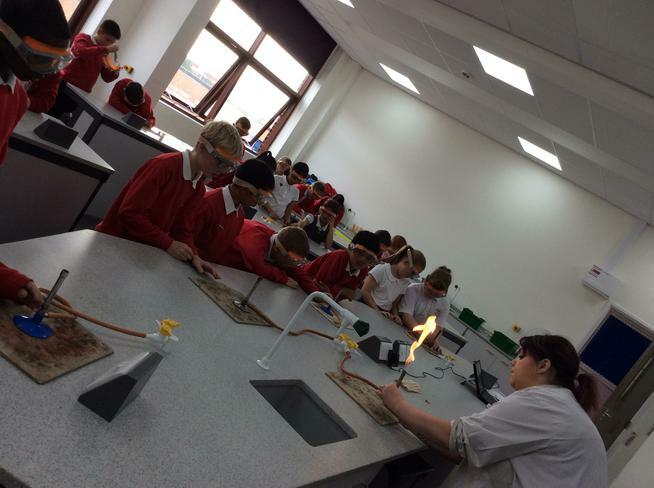 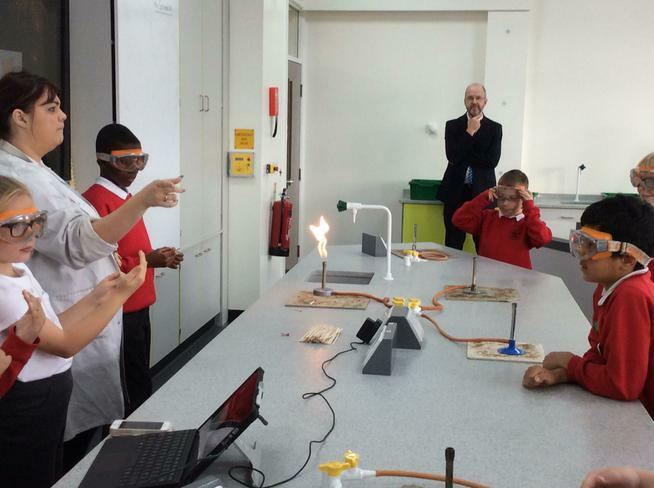 During the morning they received a Bunsen Burner training session (which they all passed) and experimented making their own sparklers using different combinations of metals. 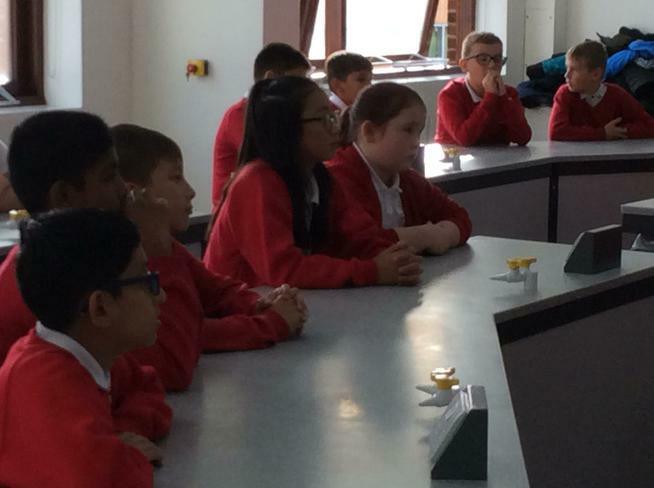 They all had a truly memorable time; they were even complimented by Mr Hubbard for their impressive behaviour and responses to questions! 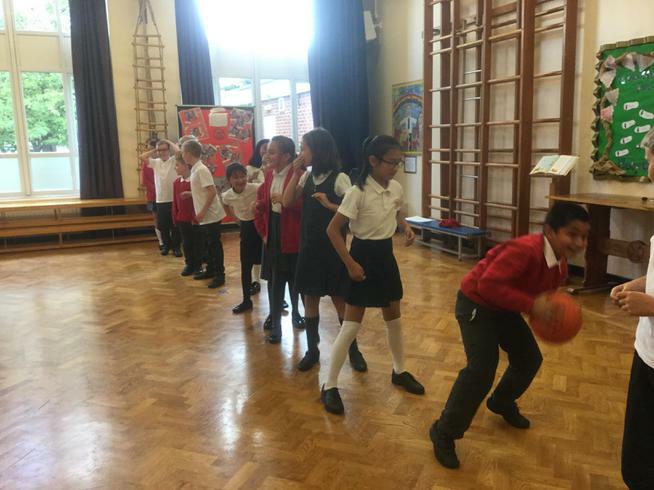 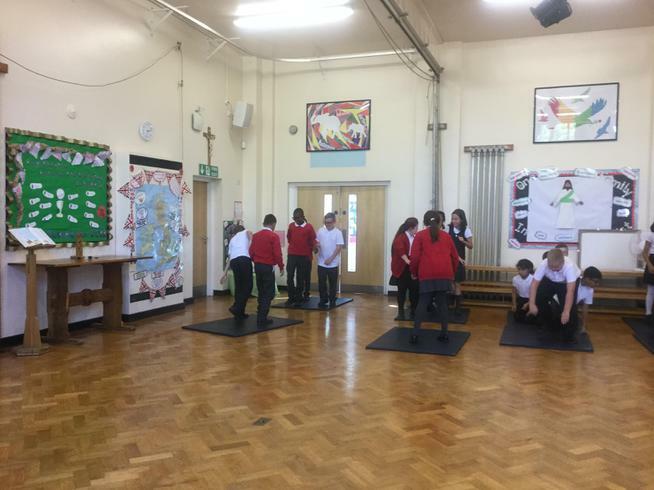 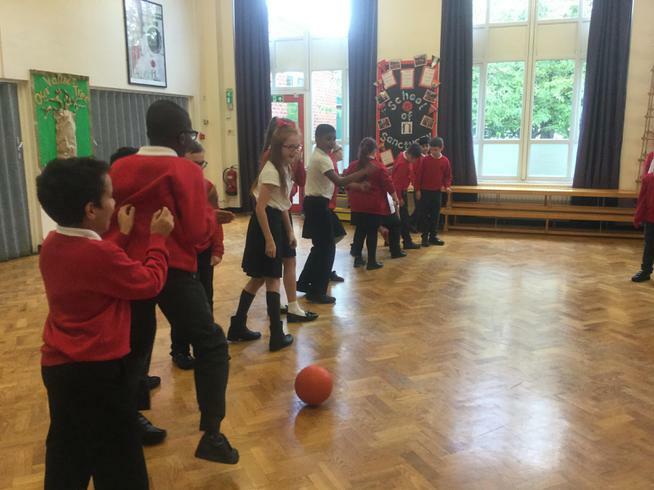 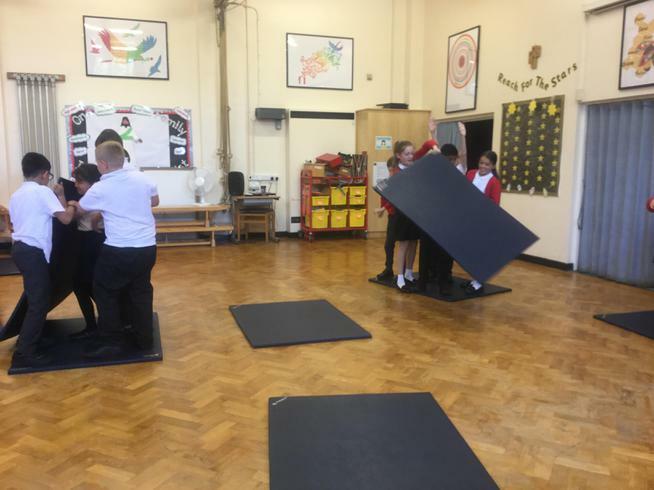 Being able to work as a team is an important life skill therefore today Year 6 were set various team challenges in randomly selected groups. 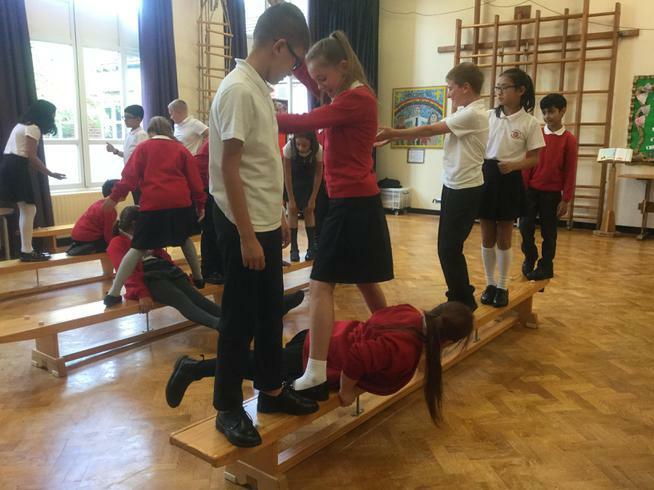 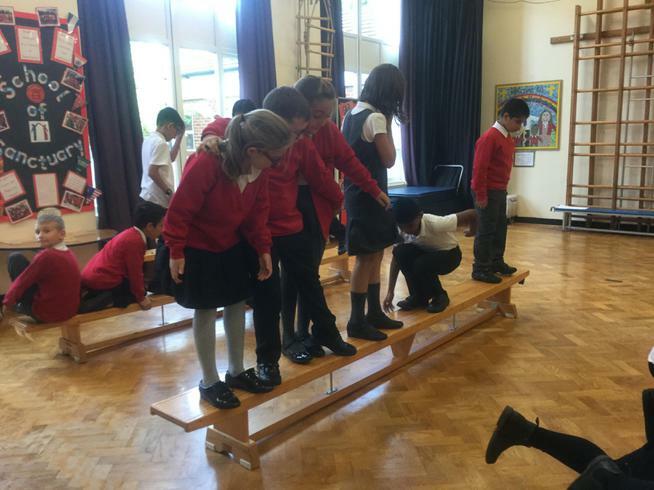 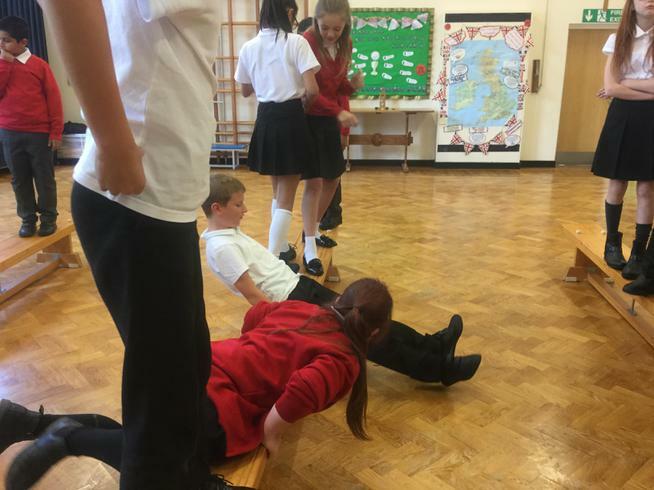 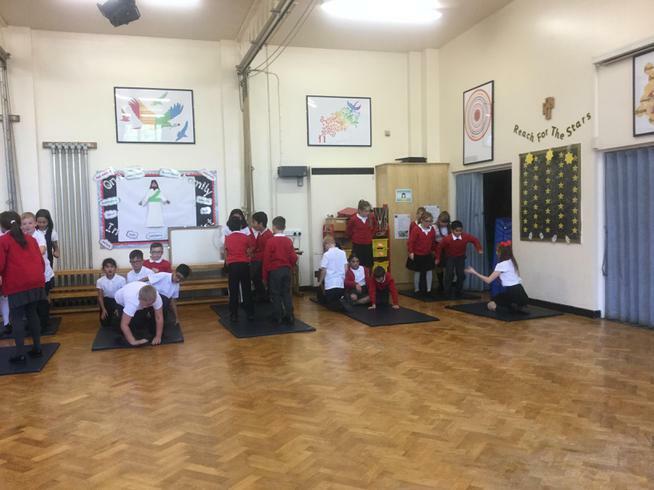 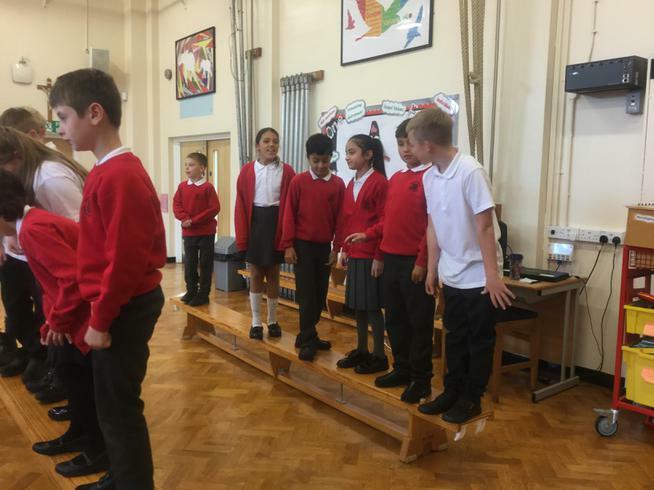 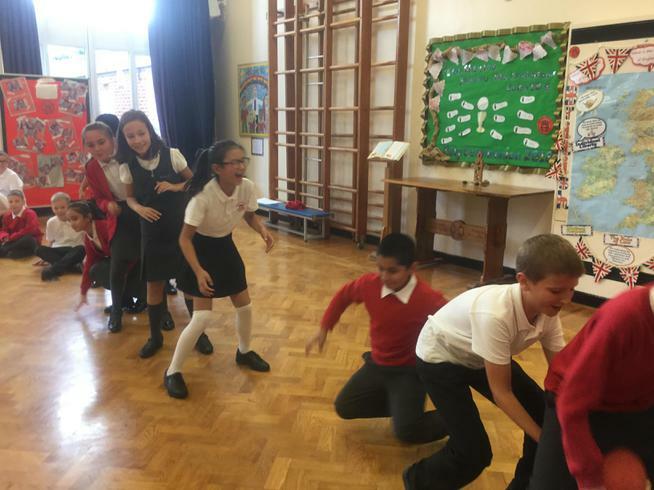 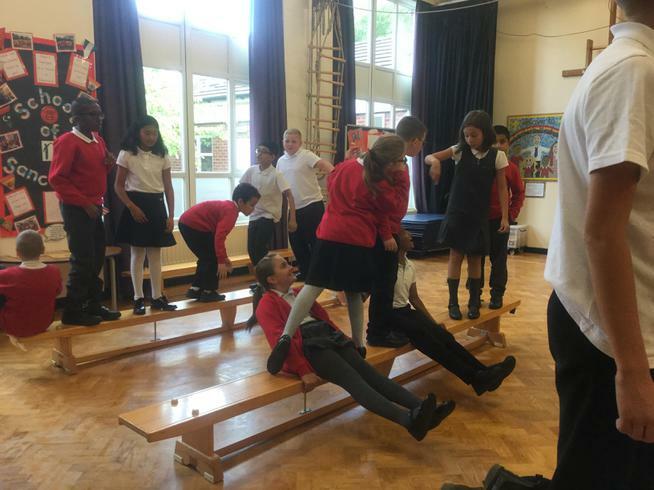 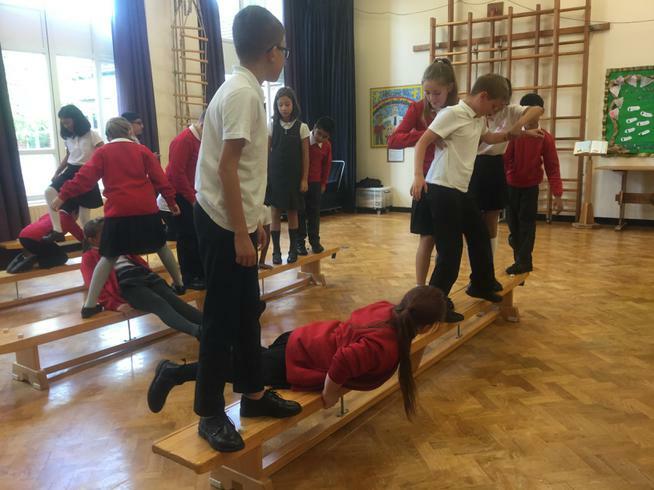 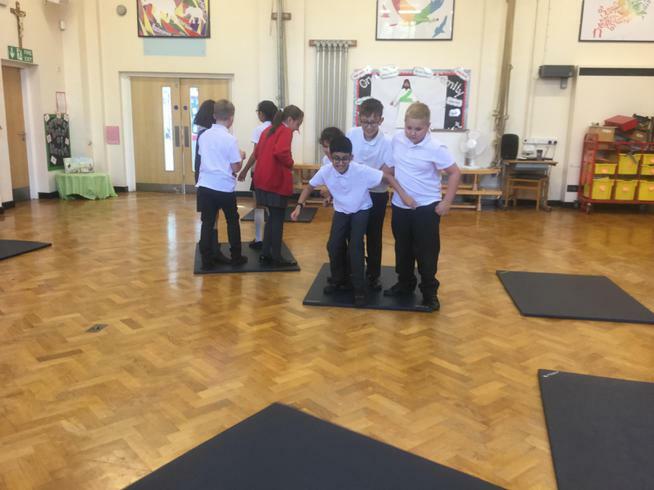 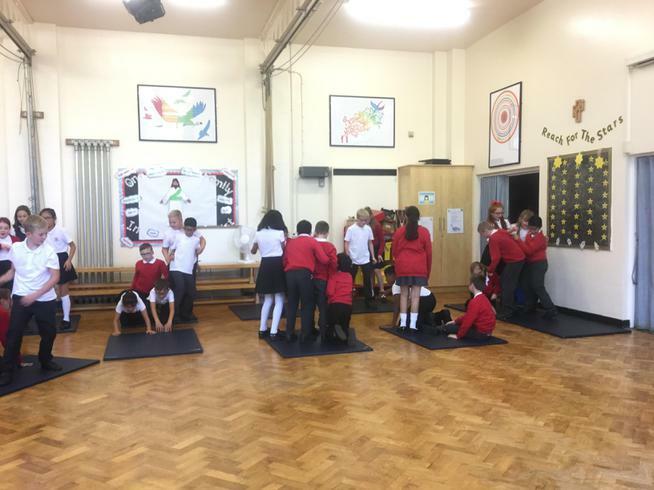 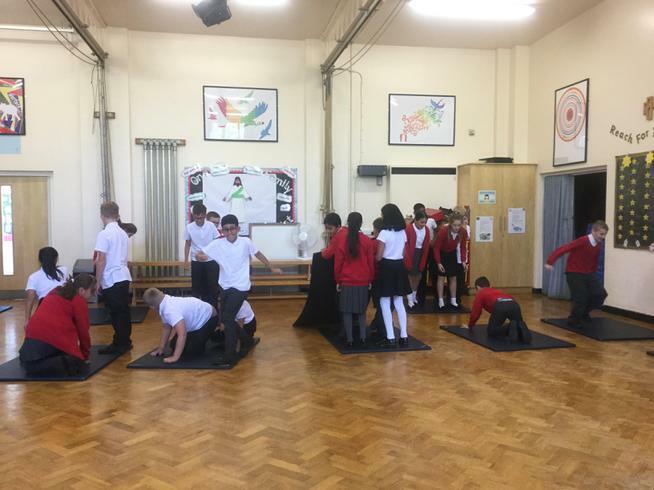 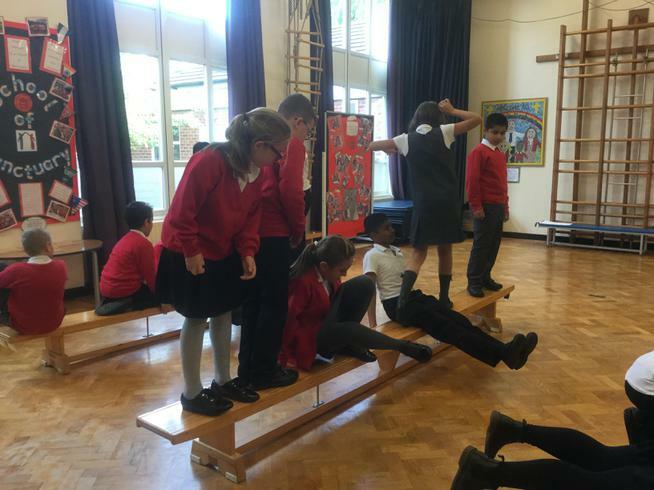 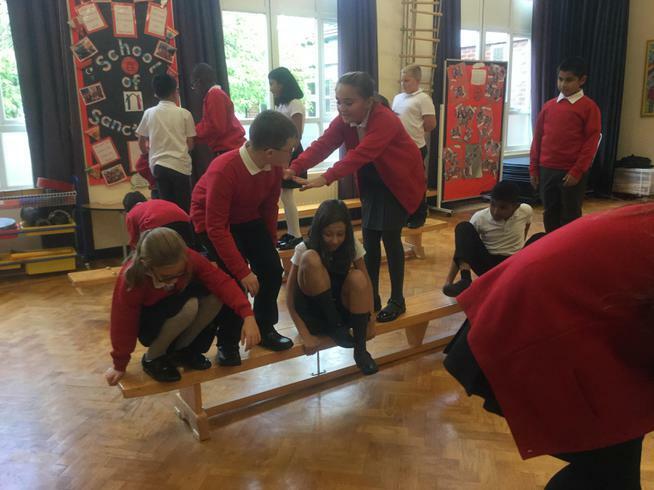 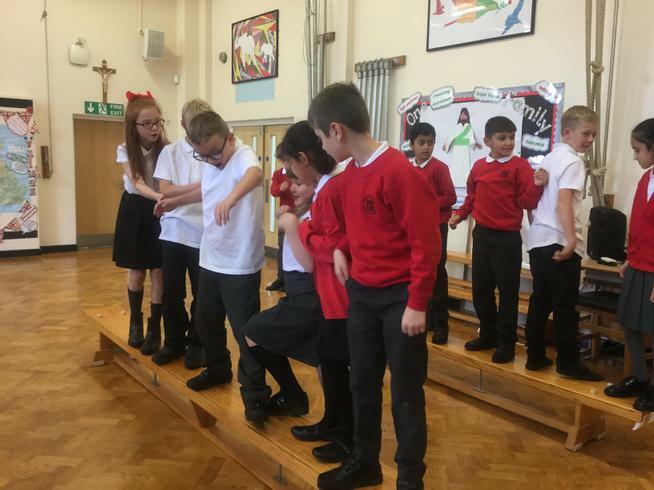 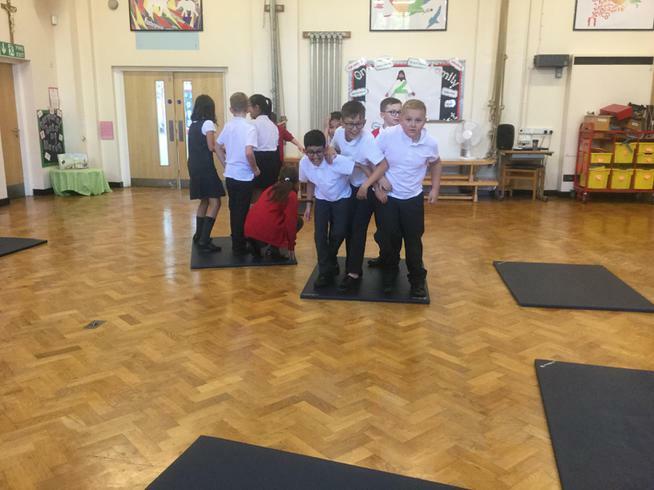 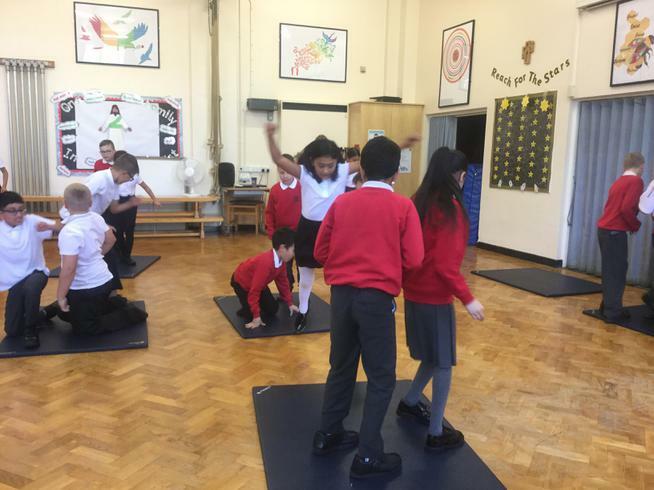 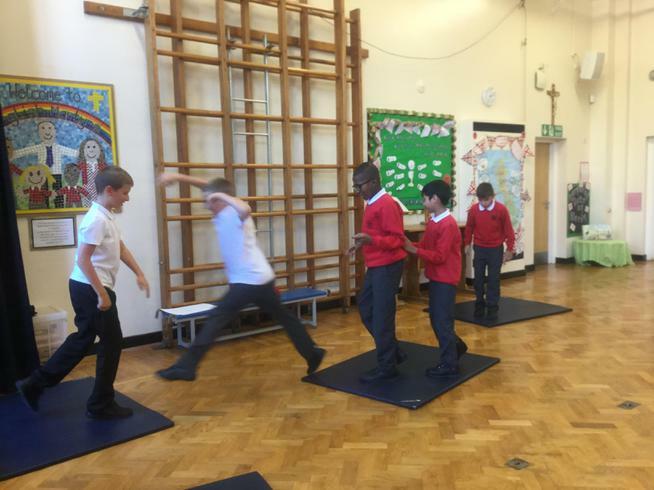 These challenges included ordering themselves on benches without their feet touching the floor and Mrs Jackson's version of the floor is lava. 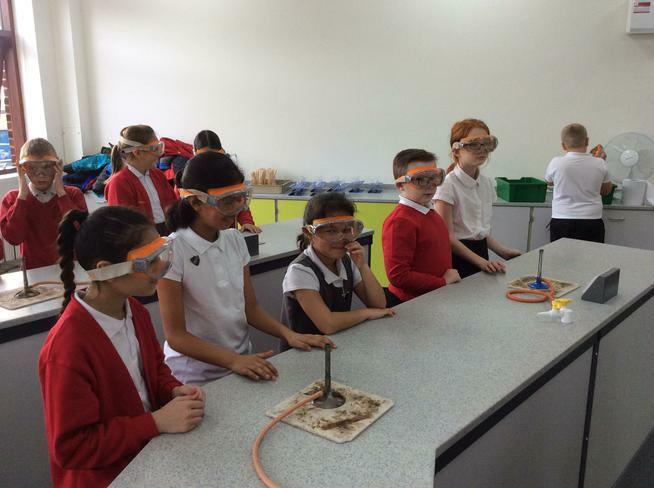 All the children had great fun and some valuable lesson were learnt.